We have lost a bright light that taught us all how to love, connect, heal, and live life more meaningfully. 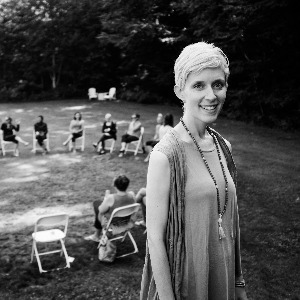 In memory of Jasmin, your donation will go directly towards funding her passion and legacy project: the annual Stretch Heal Grow yoga retreat for young women living with breast cancer. This is a very special program that makes a difference to each woman who attends and it will take your support to see that it continues on. From the day I was diagnosed I decided that I wanted to help others through this difficult and life changing journey in some way. It is so important to me to be of service and truly make a difference – and that is how STRETCH HEAL GROW came to be. Living with breast cancer is unique to each individual and self care is such key aspect of navigating through it all. Be Healthy. Be Loving. Be Brilliant. http://bit.ly/RememberingJasmin, or email your words to jen@rethinkbreastcancer.com to be forwarded to the family. opt-in-cem [check] Please sign me up to receive awesome emails from Rethink Breast Cancer.